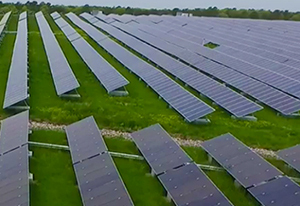 Erie County lawmakers are considering a plan that would see two developers construct solar arrays that could create enough electricity to reportedly save the county an estimated $9.5 million over 20 years. SolarCity Corporation and Greenskies Renewable Energy, LLC would build the arrays on vacant county owned land near the Alden Correctional Facility and near the county's waste water treatment plant in Angola. The county would purchase the electricity from those two entities. In order for the plan to move forward, the County Legislature must approve a local law allowing officials to lease the property to Solar City and Greenskies for more than five years.